Tony Germann is the founder and owner of Tony's Rock Guitar Studio. He started out as a punk teenage kid in the late 70's that simply had dreams of being a rock star. He bought his first guitar for a hundred bucks at some second hand store and learned how to play mostly on his own along with the help of a few buddies. He couldn't afford lessons in those days. And, because of that, it took a long while to figure it all out. He started learning songs by moving that needle across the record countless times to get each song part figured out. He is just like many of you: while never hitting that rock star status he wanted as a kid, he never gave up playing the guitar. Just like many of you his school was the one of hard knocks. But he learned a lot along the way. And he is going to share that with you here. Tony currently plays in a local Rush Tribute band called Animation. But his journey took him through many styles of music with many bands. He has appeared on numerous albums, radio and tv shows. Influences range from classic rock to classical music, from gospel and R&B to alternative rock. Right now he does offer private instruction near his home town of Chicago through Tony's Rock Guitar Studio. The Studio has helped many people achieve the goals they set out for themselves. He believes that every student has their own journey, their own goals that they want to achieve on guitar. His mission is to help them get there. "I believe that everyone has the ability to play the guitar. Of course not everyone will be the latest, greatest player. Not everyone will be an NBA star either. However, just like anyone can learn to throw a basket through a hoop (and maybe even play a game with friends), anyone can, and should, be able pick up a six string guitar and eventually play a song or two they like (and maybe even jam with friends). All you need is desire and direction." Taught guitar for 5 years at the School for the Arts at Community Christian Church. 13 years of experience leading and developing musicians as an Arts Director at that same church. 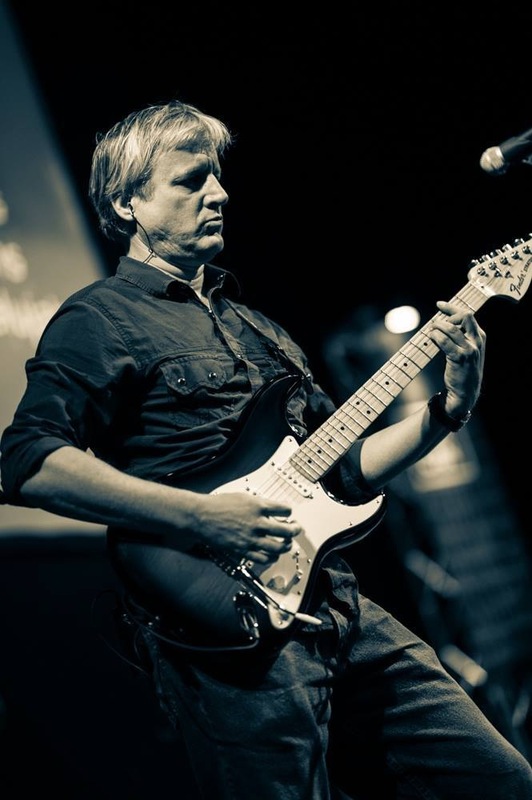 Coached by a top guitar instructor who has helped hundreds of guitar teachers become better at what they do. Studied music theory and classical guitar at University of Illinois – Chicago. 20 Essential Classic Rock Licks You Should Know! 20 single note TABs of great songs from the classic rock era by bands like The Beatles, Led Zeppelin, Rolling Stones, and more!